Beautifully crafted with top notch leather and lining. Separate compartments and drawers makes it both, easy and practical to organize all different sorts of jewelry pieces. Love this case! 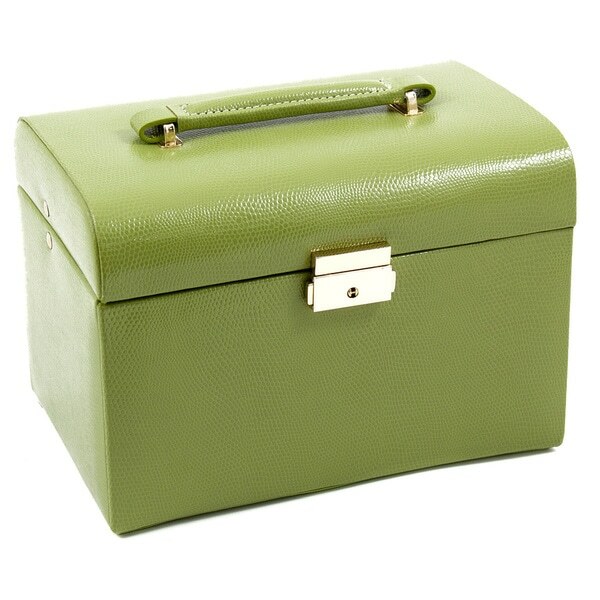 This luxe jewelry box is wrapped lizard embossed leather. Available in black or green, this boc includes multiple compartments designed specifically for all types of jewelry. A travel case is also included. Very pretty! great color and quality! Perfect size. title? why do we need a title? Item is as it was described. In need of a storage container for my "Crown Jewels"!